Census records are periodic recordings of inhabitants by the government for population or taxation purposes. Other records are “census-like” in that they recorded similar information as censuses, but for different purposes. 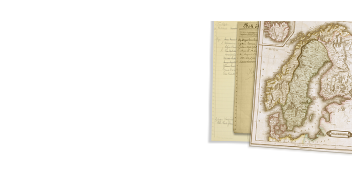 Census and census-like records are extremely significant sources for family history research because they provide several personal details about each recorded person, and because they usually recorded individuals in family groups. Government conducted censuses were typically taken every 5 or 10 years. Census-like records consist of records such as household examinations (Husförhörslängd) from Sweden (also known as clerical surveys), and communion books (rippikirja) in Finland. In both of these cases, these records were created by the state church, and were taken at periodic frequencies. Information recorded in census and census-like records varied according to year, location, and purpose of record. For example, earlier records typically contain less information than more recent ones, and records created by a church also recorded information pertaining to religious life. However, in general these records include: names of household members, family relationship, age, and birth information. Példák: ács, vagy "SS Anglia"